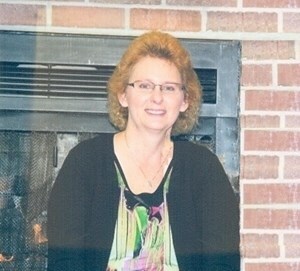 Donna M. Houser, 59, of Junction City passed away Wednesday, March 27, 2019. A Mass of Christian Burial will be 10 am on Monday, April 1, 2019 at St. Xavier Catholic Church with Fr. Kyle Berens officiating, burial will follow at St. Mary's cemetery. Visitation will be Sunday, March 31, 2019, 4 pm to 6:00 pm with Rosary held at 5:30 pm at Johnson Funeral Home. Memorial contributions have been designated to the Geary County 4-H and to the Friends of Animals. Donna was born September 18, 1959, Junction City, KS the daughter of Earl and Goldie (Marcotte) Johnson. Donna married Geoffrey Houser on September 1, 1991. Her light was brightened on November 18, 1992 when she gave birth to her daughter Jaimie (Houser) Gray. She graduated from Wichita State University in 1982. She began her nursing career at the Wesley Hospital. She returned to Junction City to continue her love for nursing at Geary Community Home Health and Hospice. She spent 37 years of her nursing career dedicating her life to helping others during their time of need. She was always willing to help and enjoyed mentoring many nurses until she retired due to illness. Donna will be remembered as a loving wife, mother, daughter, sister, aunt, cousin and friend. She was a wonderful nurse, plant whisperer, gardener and traveler. She loved the sun, sand and spring. She enjoyed the opportunity to get outside to work in her garden and flowerbeds. She also enjoyed a warm ride on the motorcycle. Donna is survived by her husband Geoffrey; her daughter Jaimie Gray; her father Earl Johnson all of Junction City, her brothers; Doug (Pat) Johnson of Wichita, KS; Ron (Tracy) Johnson and her sister, Rhonda (Dale) Evans all of Junction City and many nieces and nephews. She was preceded in death by her mother, Goldie Johnson, her mother and father in law, George and Agnes Houser and brother-in-law, Gerald Houser. Add your memories to the guest book of Donna Houser. Donna was proof that Angels and Saints live among us. A person that departs from this earth never truly leaves, for they are still alive in our hearts and minds, through us, they live on. Her smile and laugh was uplifting and her wisdom was never ending. Even on her worst days she was kind and considerate. Truly one of a kind. Donna will not be forgotten.